He was one of the “four Seceders” and a man I want to meet in heaven. 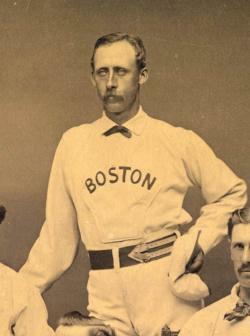 “Deacon” Jim White returned in 1877. Just couldn’t stay away from a winning team I am betting. He nearly won the triple crown. He led the league in batting at .387 and RBI’s with 49. His two (yes that is 2) home runs were two short of the leader who had four.